This collection of three essays by one of the great early-twentieth-century anthropologists of the American Southwest brings back early research at what is now Mesa Verde National Park, Colorado. The excavations of the most significant ruins of Cliff Palace, Spruce Tree House, and the Mummy Lake mounds are reported here. Cliff Palace, the most impressive ruin at Mesa Verde, was discovered in 1888 by Richard Wetherill, a local rancher now considered a forefather of Southwest archaeology. Fewkes came to Mesa Verde in 1908, soon after the creation of the National Park in 1906. His writings discuss the daily lives of the cliff dwellers, their art, and their unique building construction styles. 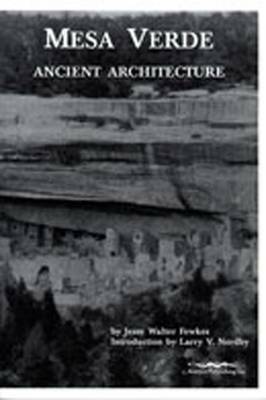 The foreword provides information on contemporary archaeology at Mesa Verde and puts Fewkess early research and writings in perspective.